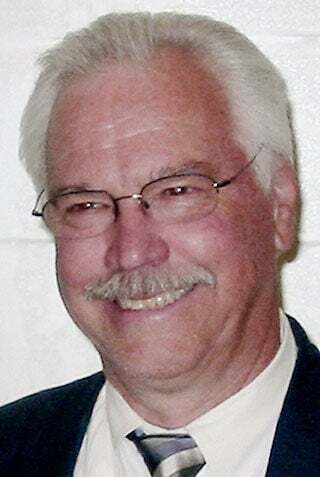 Chris LaVerne Paulson, 71, of Martinsburg, WV passed away on Sunday, April 14, 2019 at his residence. Born June 2, 1947 in Eau Claire, WI, he was the son of the late Bernard Owen Paulson and Ethel Mae Noyes Paulson. Pastor Paulson was an evangelical minister in MN for 35 years. He thoroughly enjoyed feeding the birds, which carried a deep spiritual meaning to him. He is survived by his loving wife of 51 years, Diane, at home; one daughter, Kimberly Cropp and husband, Robert, Jr of Pikesville, MD; one son, Aaron Paulson and wife, Cynthia of Martinsburg, WV; four grandchildren, Maggie Cropp, Abigail Talbott, Rachel Paulson and Joseph Paulson, two sisters, Teresa Strauman and Julie Bornfleth. In addition to his parents, he was preceded in death by one brother, Eric Paulson. Services will be held at 11:00 am on Thursday, April 18,, 2019 at Fellowship Bible Church, 160 Daniel Road, Shenandoah Junction, WV 25442 with Pastor Van Marscheau officiating. Interment will be in Edge Hill Cemetery in Charles Town, WV. The family will receive friends at the church two hours prior to the service.